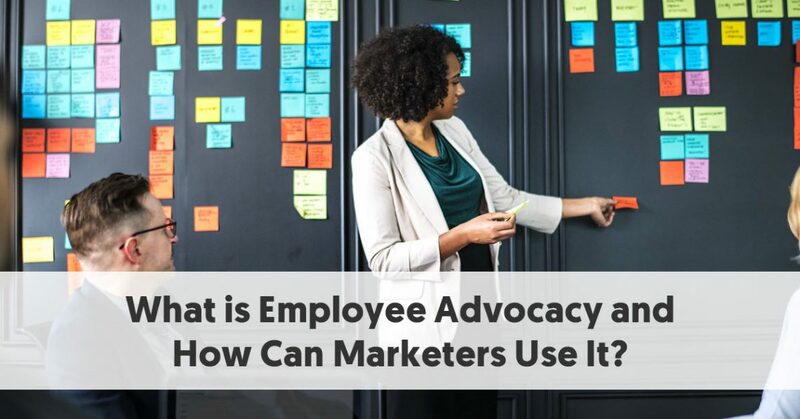 What is Employee Advocacy and How Can Marketers Use It? If you run a company with happy and enthusiastic employees, you have a team of marketers, regardless of their official business titles and primary roles. Employees of most businesses know more about the organization than virtually anybody else, including the owners often. The official name given to employees saying positive things about your business is employee advocacy. And employees can bring success to a company that no marketing budget can match. Employee advocacy occurs when the workers of a business promote it. This probably happens on an unofficial basis on social media all the time. Every time somebody writes a post saying something positive about their workplace they are engaging in employee advocacy. This even includes a simple status such as “Had a great day’s work today at XYZ. Thanks, boss”. Employee advocacy is broader than this though. If you share a Facebook status from your employer or retweet one of their messages, then you are engaging in employee advocacy. Indeed employee advocacy is almost essential nowadays for activities such as social selling and customer service. Cynical people will check and ask questions if they can’t see evidence of your employees supporting your promotion. How Can Marketers Use Employee Advocacy? While marketers have little to do with informal posts by employees thanking their bosses, they can see the immense potential of more formal programs that actively reward and encourage employees to post positive content on the company’s behalf. Marketers understand that businesses can use employee advocacy strategically. They set up deliberate campaigns to assist with this. We have previously looked at 10 Employee Advocacy Programs businesses can use to increase their brand reach. These programs make it easier for marketers to create an employee advocate scheme that best suits their companies. They provide the tools to encourage employee buy-in, and in many cases, they deliver the metrics that marketers can present to senior management to prove the scheme’s worth. Employee advocacy can technically encompass a wide range of activities. It includes traditional networking activities, such as After Five-type industry get-togethers, and conferences. But by far the most significant type of employee advocacy nowadays is messages employees deliver via social media. One of the advantages of most of the software available is that they help measure the effectiveness of employee advocacy. Depending on how many employees your business has, it is likely that your workforce interacts with hundreds, more likely thousands, of different people. This is particularly the case for large workforces. If you could encourage a significant proportion of the workforce to participate in your employer advocacy scheme, you would have access to far more people than your business is ever likely to with its company pages. Indeed, research shows that, typically, employees collectively have social network followings ten times larger than most corporate brands do. Employee advocacy provides you with a whole new audience and assuming your employees are in any way like your customers, many of these followers could become potential new customers. Authenticity is everything when it comes to online promotion. This is as much the case for employee advocacy as it is for influencer marketing. A mistake that some firms make is that they try to remain too controlling over their employees’ posts. In the worst cases, leaders and brands go through the motions, sometimes attempting to automate employee advocacy to the point where there is little involvement by the actual employees. That risks disaster for any campaign. At this point, you have lost authenticity. You have let the “suits” of marketing loose, who have yet to understand the intricacies of promotion in an online environment. Another issue with some firms is when they use social accounts in employees’ names but rely on the marketing department to make the actual posts. It won't take long for people to see through this ruse. Again, it extinguishes the authenticity necessary for people to respect posts made by these accounts. Your employees can be particularly useful in convincing potential customers that you might be suitable for them. These people may have heard of you, and even does some preliminary research into whether you would be of use to them. But nothing beats the authenticity of an employee talking about a business from the inside. It makes it much easier for potential customers to decide whether you operate using the same ethos of themselves and whether you would make a good fit. Because of the increased trust, posts shared by employees have double the click-through rate of posts shared by companies. And employees’ posts are far more likely to get through the selective algorithms of Facebook and Instagram. Just because employee advocacy may appear more informal and lacking the corporate look is no excuse for management to stand back. Sure, they can’t micromanage this type of marketing. But they must be seen to take the lead. Management has to show support for the activity throughout the entire process. They need to be part of the team promoting the idea to employees in the first place. They need to continue to promote its benefits regularly. It is also important to remember that employee advocacy should be company-wide. The marketing department does not have a monopoly on ensuring the success of your campaign. Management in all areas should devote some time to being involved. Employee advocacy should lead to a win-win-win situation. All parties should be happy. The company should meet its goals – perhaps generate more sales as a result of the campaign. The followers of your employers should be happy, they now know who to go to if they have a need for your company’s products or services. However, it is important that you don’t ignore the third component. Your employees. A good employee advocacy program also provides opportunities for them to polish and improve their personal brand. Higher level employees and managers may be able to establish themselves as thought leaders. They may even be able to become influencers in their own right over time. Other employees will improve their social networking skills, particularly if they start to create their own content for themselves and their workmates to share. Of course, there is one group within your team who are likely to have an added advantage on social media. Your salespeople are more likely to be active on social media than the average person,. They probably already have personal brands and know how to put together attractive social media profiles and good looking posts. One of the secrets of any social media marketing is that you mix up the types of content that you post. 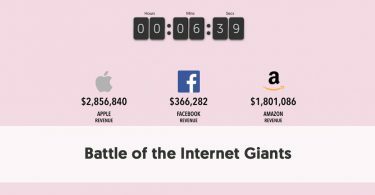 Brands and influencers who succeed on the social networks don’t solely promote. They share a wide range of posts, some informative, some eye-catching, and a small percentage commercial. None of the successful accounts on Instagram, Facebook, Twitter, or the rest exist solely to sell product. Therefore your employees need to share a range of posts as part of their employee advocacy. They should certainly not all be puff pieces promoting the benefits of your company. Successful employee programs work with dedicated employees, who genuinely believe the social messages they share. Authenticity is as much a requirement of successful employee advocacy as it is for influencer marketing. If employees feel pressurized into participating, then the program will fail. As the old saying goes, 'you can't make a silk purse out of a sow's ear.' If your business does not have impeccable industrial relations and enthusiastic staff, then employee advocacy is not suitable for you. If you are going to provide an incentive for employees to participate, you need to ensure that you intelligently do it. In reality, you want engagement more than anything else. Therefore any rewards you give should be to your most highly engaged employees. As with influencer marketing, you shouldn’t be distracted by vanity metrics such as which employees have the most followers, or who has made the most posts (unless these result in correspondingly high engagement rates). One excellent use of employer advocacy is to attract potential new customers to take an interest in the business. A firm with access to all its employee's followers can potentially reach a vast number of people who they may not otherwise have contact with. In this case, you will encourage your employees to share the types of customers that would be appreciated by the kinds of people your business targets. If these people have any interest in your product, they are far more likely to be swayed by an enthusiastic employee than they are by a traditional faceless ad. Your employees could share any typical “top of the funnel” items, targeting potential new customers who have yet to show an interest in your business or product. These include articles about your niche, testimonials and case studies from happy customers, thought leadership posts on topics of interest to your typical customer, or anything more visual like relevant videos, webinars or infographics. If you are after new talent for your team, the best way to attract top applicants is to have your current employees extolling the benefits of working for your company. While a company can feature the “perks” of working for the business in their job advertising, this lacks the authenticity of hearing about the work environment from the people actually working there. 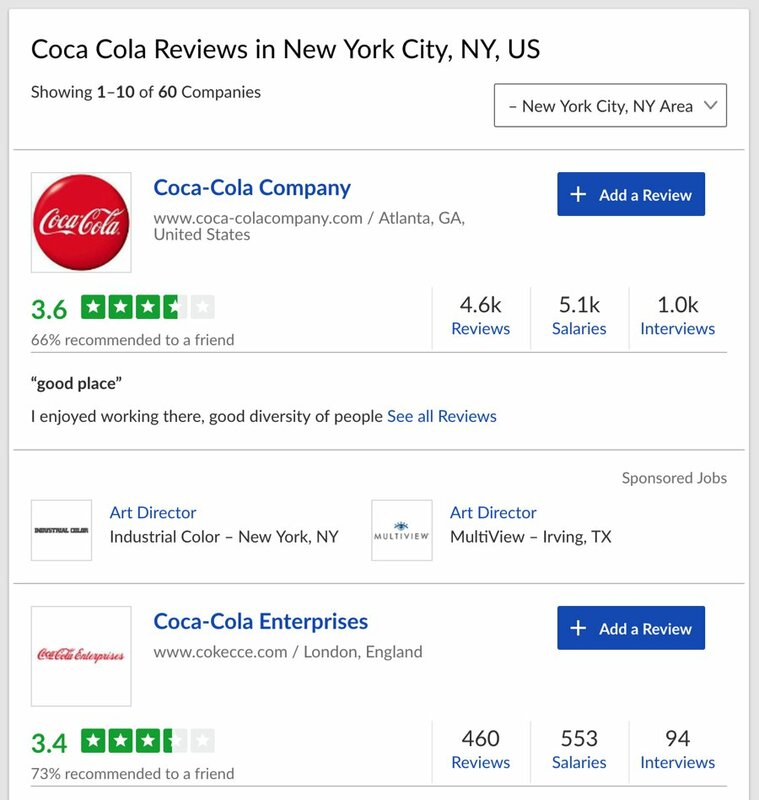 This is one of the reasons that employee review sites, like Glassdoor, perform so well. Of course for employee advocacy to be successful in attracting talent, you do need to operate a happy worksite, where employees feel valued and are delighted to share positive views on the company. In this case, your employees would share company news, any open postings within the business, reviews of any work social events or trips, and possibly even posts discussing what working for the organization is like from the inside. While your Marketing team is likely to be separate from your HR team, they can work together encouraging team members to share material that encourages top quality candidates to apply to vacancies in your business.